A rare gold-wrapped BMW i8 is now sitting on the casino floor at the Cosmopolitan hotel in Las Vegas. The car is being given away as part of a promotion for the Chinese New Year and only invited-guests have a shot at winning the special BMW i8. To get the car onto the casino floor, two of the exit doors off needed to be removed. The BMW i8 is one of the most unique cars on the road today, packing a tiny, little three-cylinder engine mated to an electric motor with a second motor driving the front-wheels. The 1.5-liter combustion engine develops 170 kW/231 hp and drives the rear wheels of the BMW i8, while the 96 kW/131 hp electric drive sends its power to the front wheels and allows an all-electric range of up to 35 kilometers (22 miles) and a top speed of 120 km/h (75 mph). The powertrain allows the BMW i8 to sprint from 0-62mph (0-100km/h) in in 4.8 seconds and has an electronically limited top speed of 260 km/h (160 mph). 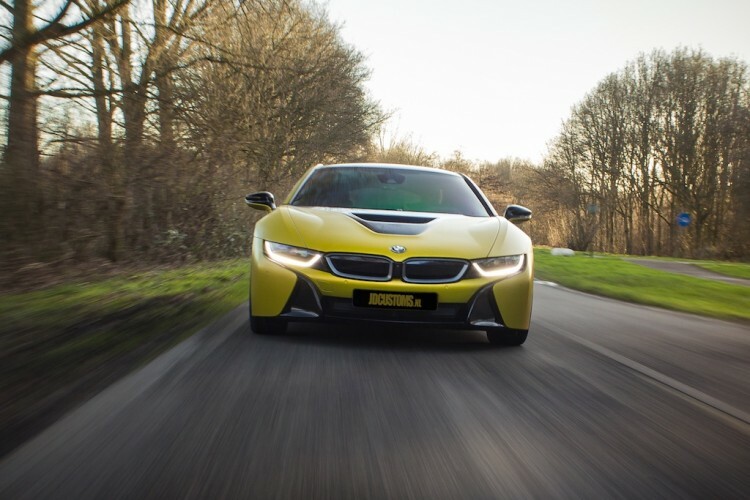 At $140,700, the BMW i8 is the most expensive car sold by BMW in the United States.